Great news for the Wild West enthusiast! The immortal Western myth in new edition Walther Winchester. The current versions of the classic lever action combine the latest technology with timeless beauty. 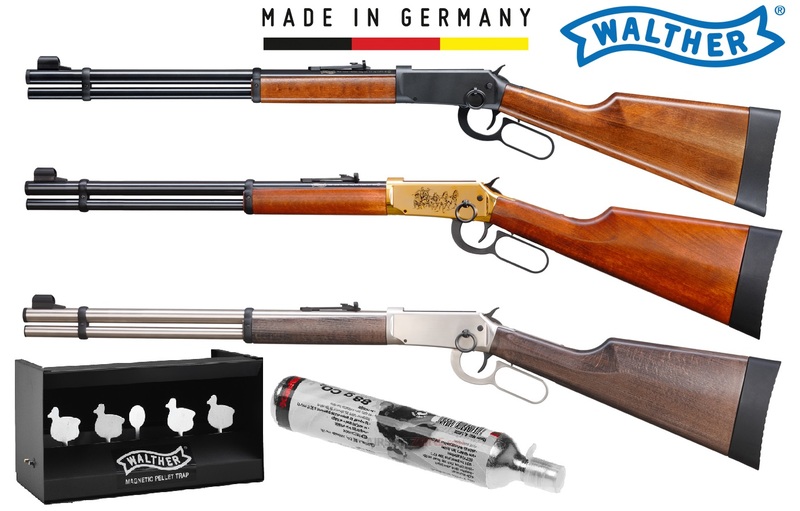 Just the name WALTHER embodies over 100 years, the successful fusion of tradition and innovation. The proven and reliable construction Lever Action has taken on the current state of technology with the 88 g CO2 cartridge . The shooting fun is enhanced by the much higher shot capacity. A real increase in the fun factor. Thanks to the newly developed high power system this CO2 air rifle achieves optimum results in power and precision.